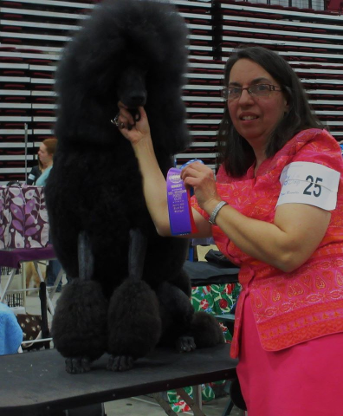 Twister is the son of our retired Canadian, UKC champion "Chase". 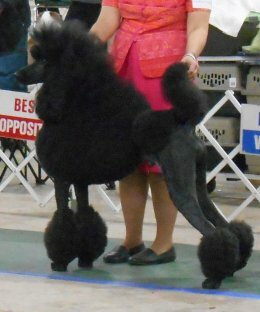 needs his major points towards his AKC champion title, owner/handled. 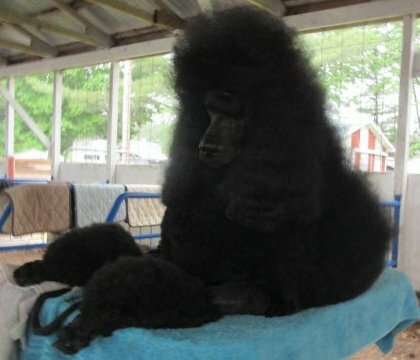 Following in his Dad's footsteps....he has never met a stranger. 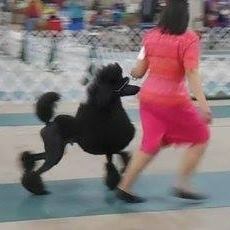 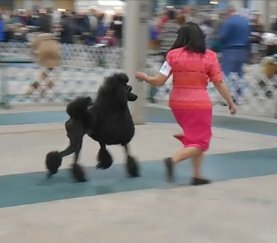 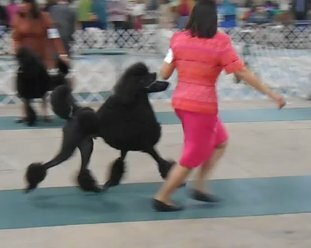 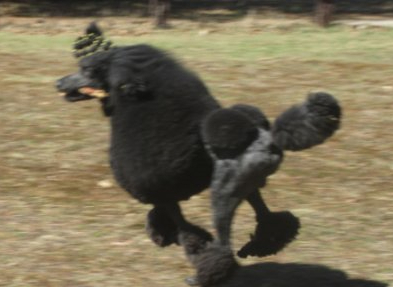 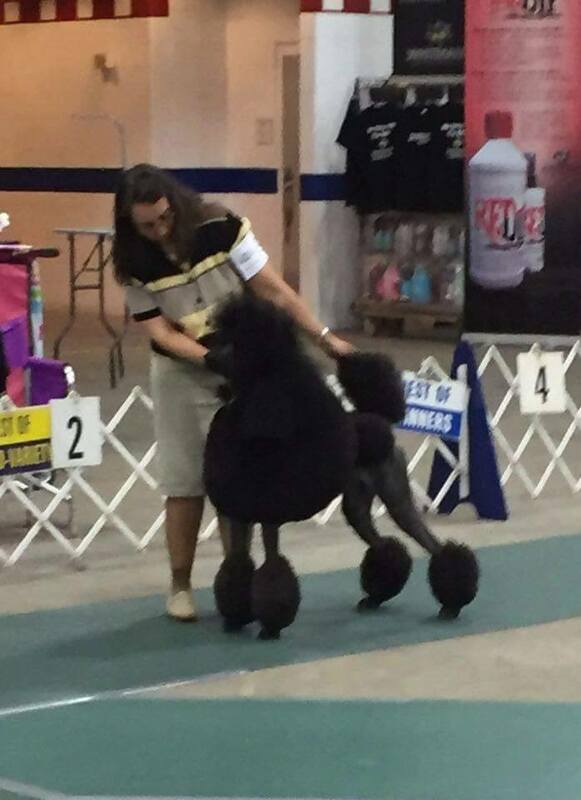 Twister earns two more points at the Mid Michigan Poodle Specialty handled by us and then two more singles after that below. 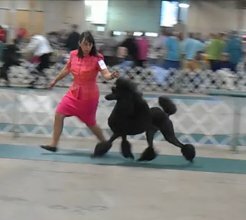 Twister at the Traverse City Kennel Club show earning Winners Dog.